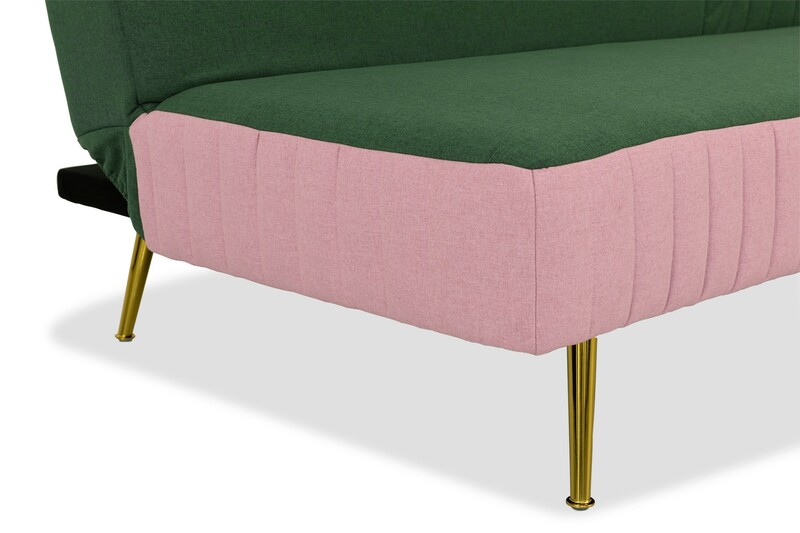 The backrest of this Retro-glam themed couch can be easily lowered 3 different angles (15, 45 & 90 degrees) to function as a sofa and bed. 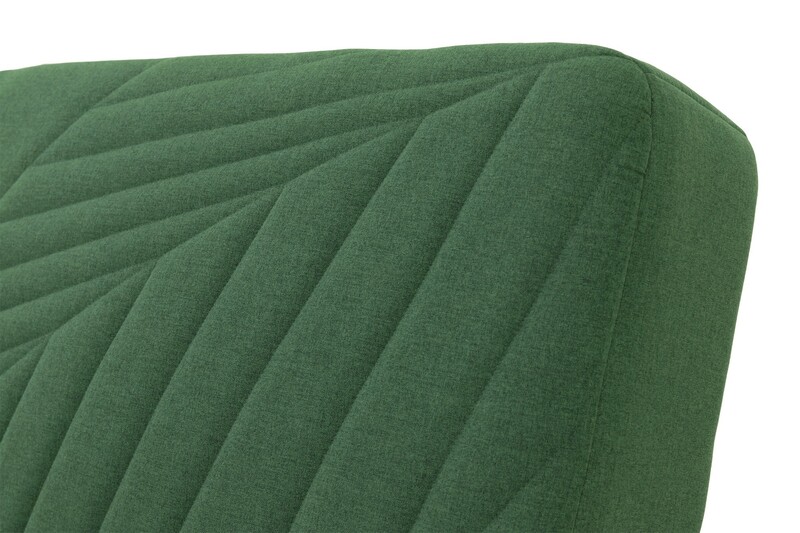 Comfortable for one sleeper and cosy for two, this piece of furnishing is perfect for accommodating unexpected overnight guests. 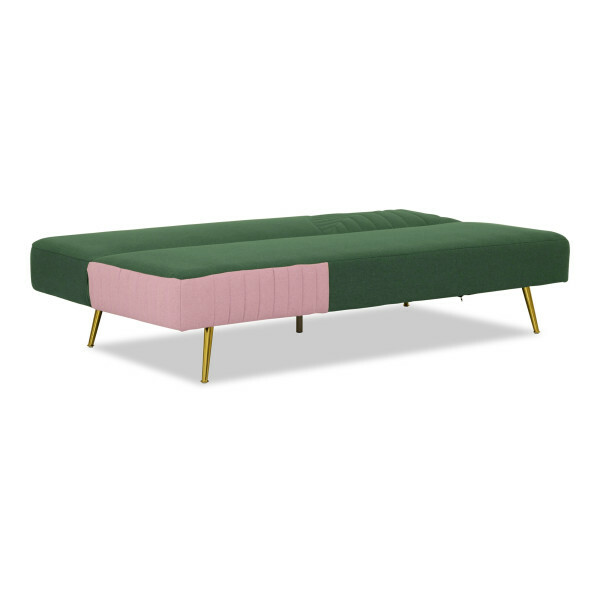 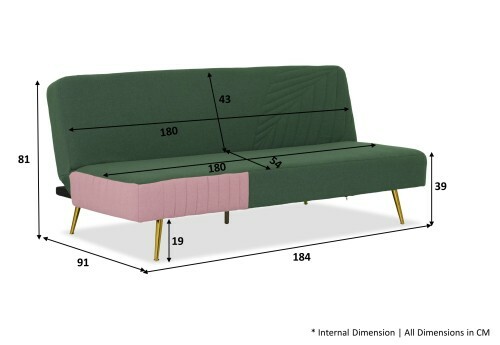 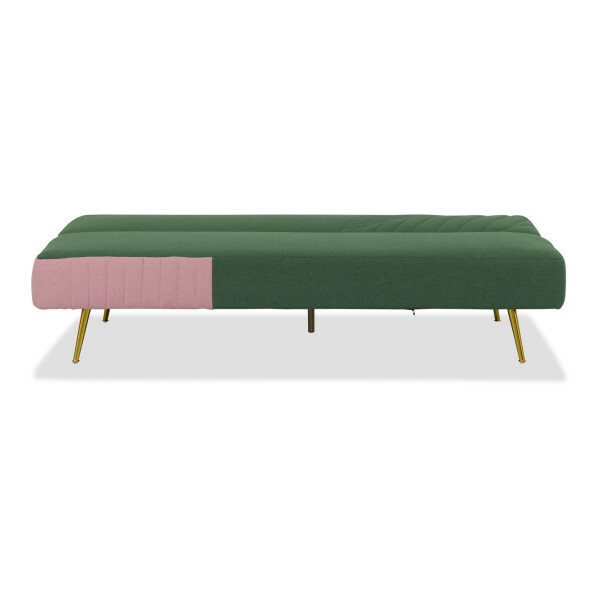 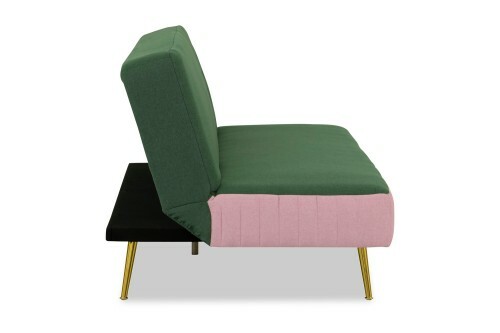 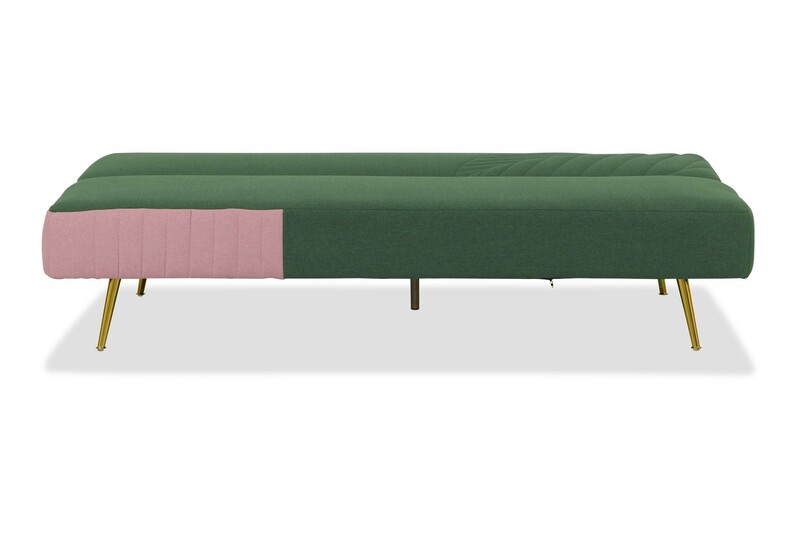 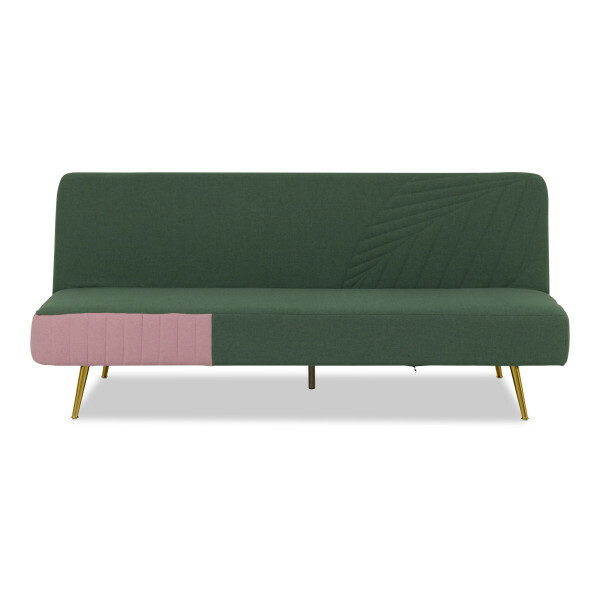 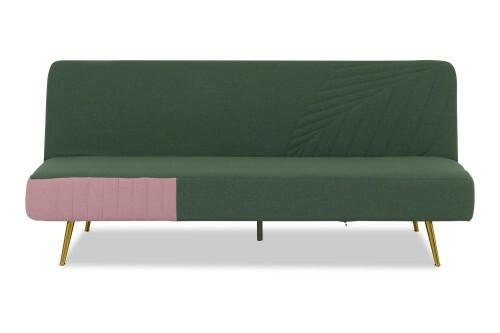 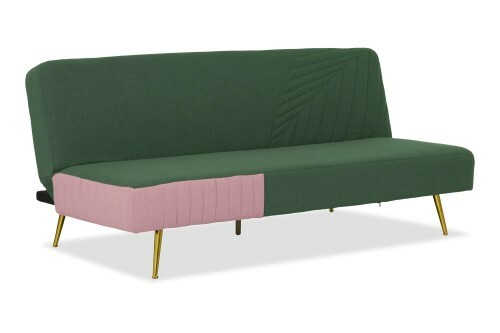 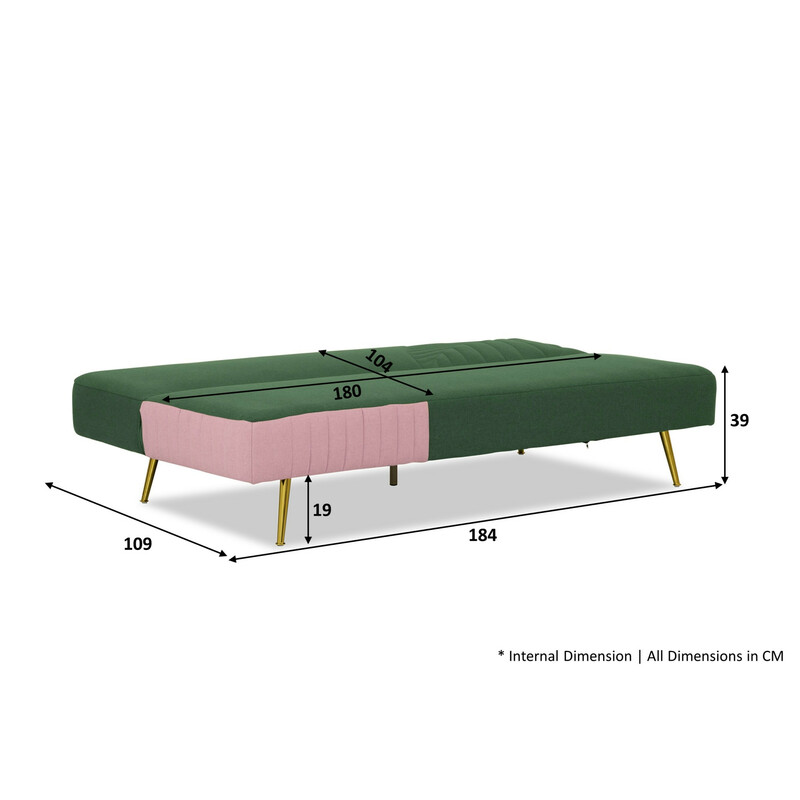 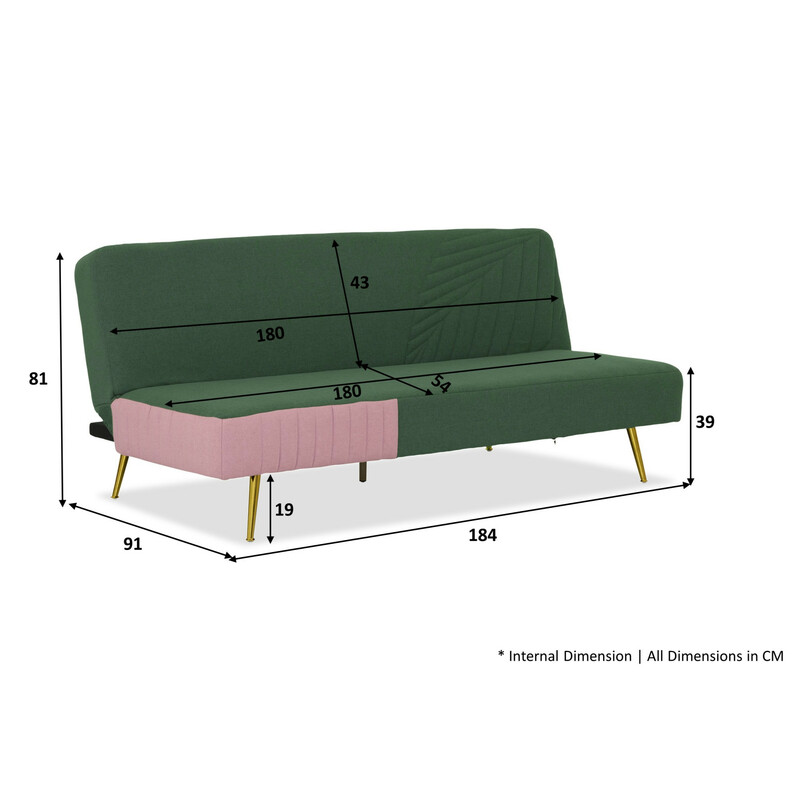 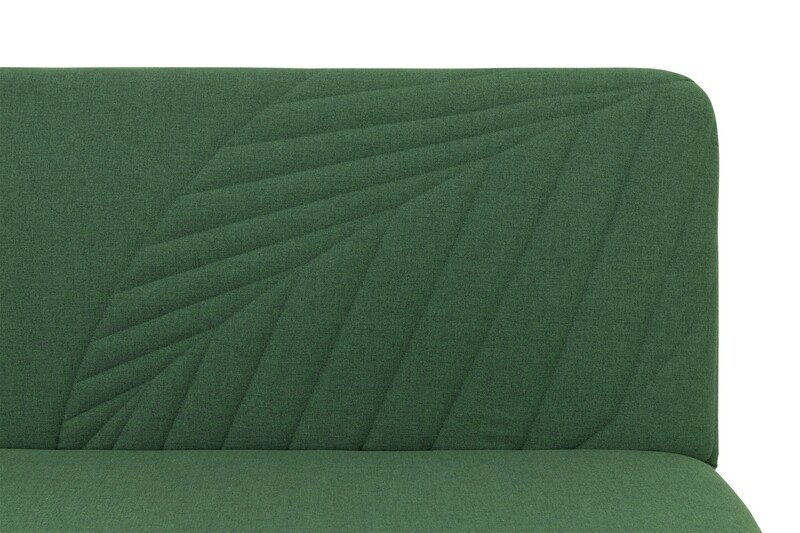 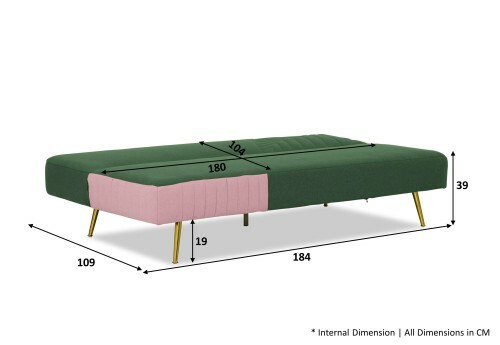 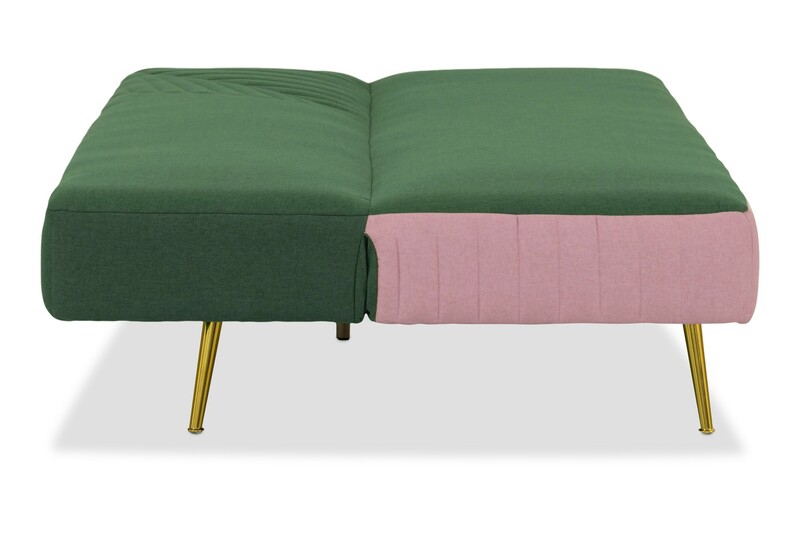 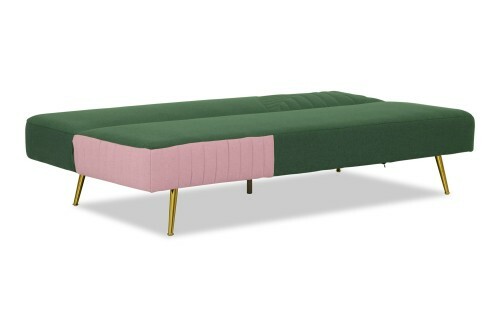 The soft splash of pastel pink brings a lively touch of colour to the emerald green of this 3-seater sofa bed. The gold legs impart gracefully restrained elegance. 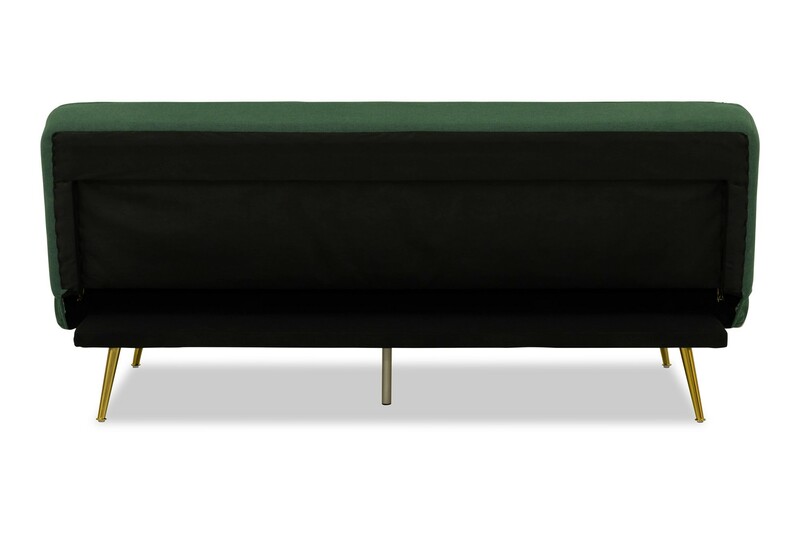 This chic and firm sofa is for homeowners who believe that less is more when displaying gold accessories around the house.